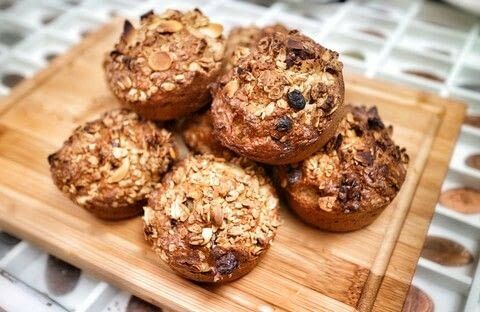 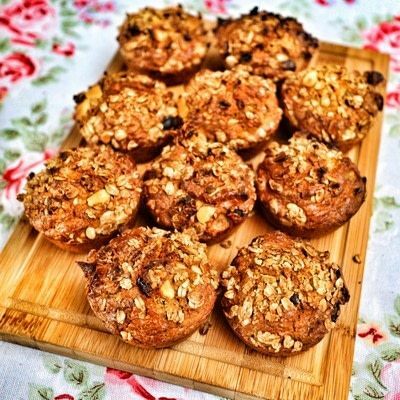 Tasty breakfast muffins filled with granola, nuts and fresh apple. 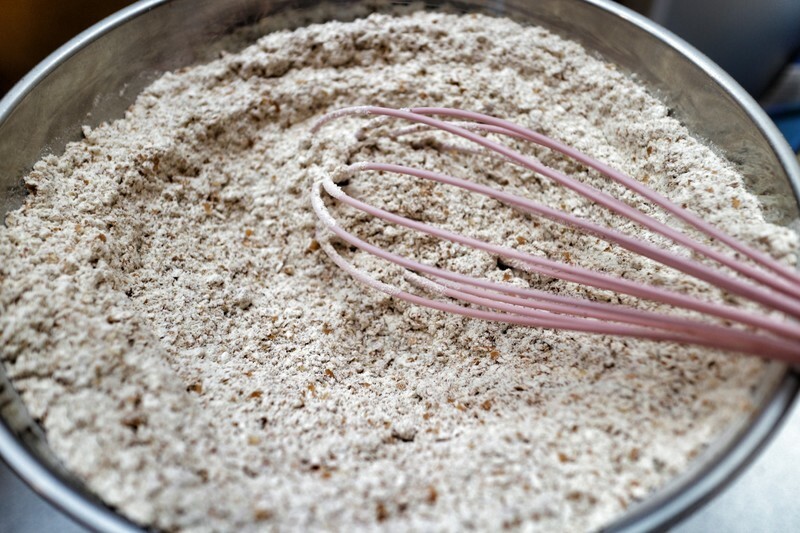 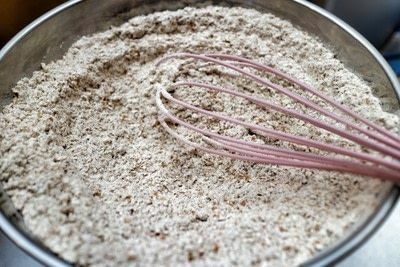 Whisk together the wholewheat flour, brown sugar, baking soda, salt. 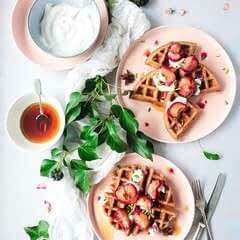 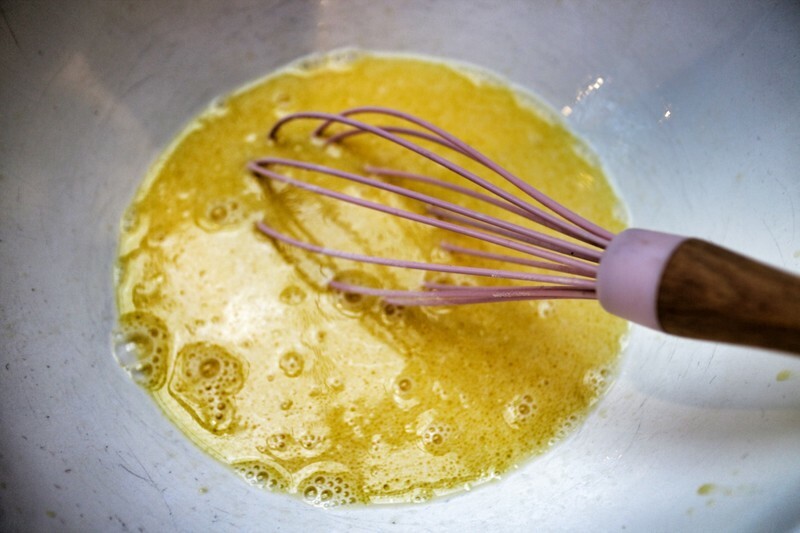 Melt the butter and whisk together with the two eggs and soy milk. 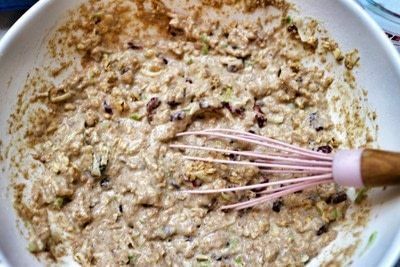 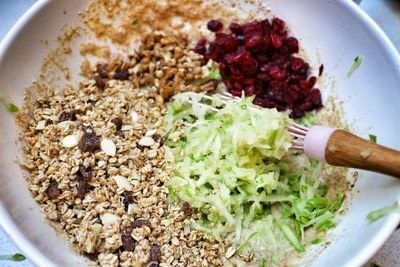 Whisk the flour into the butter mixture and add the granola, cranberries, walnuts and grate in the apples. 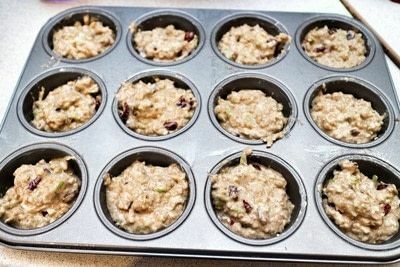 Spoon the batter into a greased muffin tin. 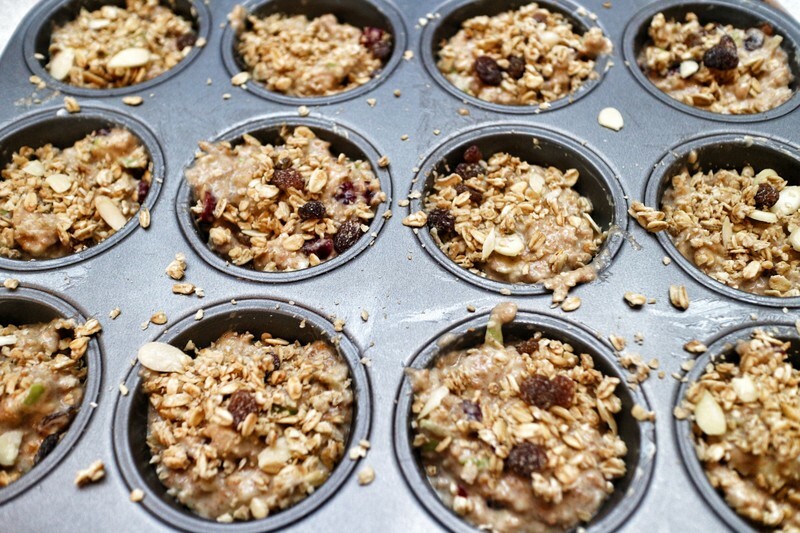 Sprinkle the top of each muffin with granola. 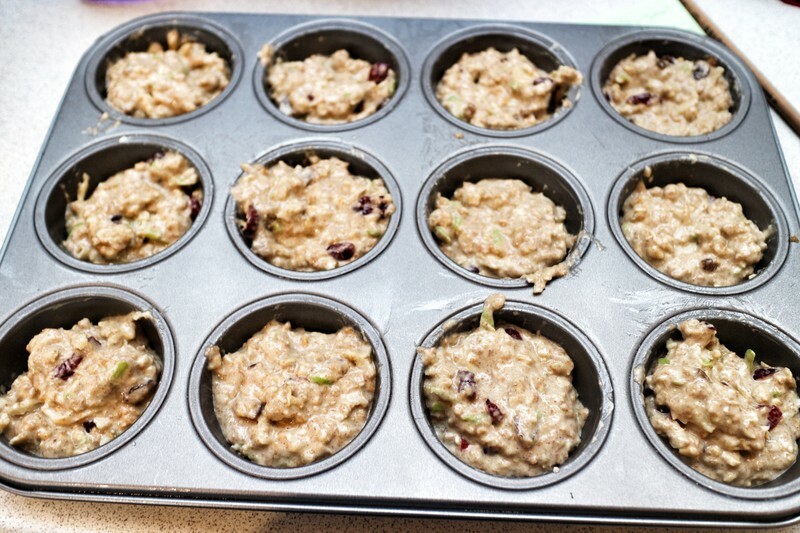 Bake for 20 minutes at 200'C.